MAPublisher has been around for over 20 years and is used in private and public companies, government organizations and educational institutions around the world. Complete your cartographic production and workflow with greater ease and flexibility than ever before by transforming raw GIS data into a high-quality map products using the MAPublisher add-on for Adobe Creative Cloud. MAPublisher lets you quickly import a wide variety of data formats, create and refine maps with minimal effort using Adobe Illustrator design tools, and export maps to different file formats for print or digital publishing. 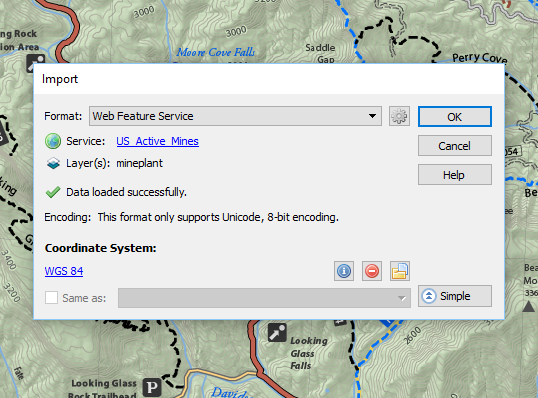 Great for importing all sorts of GIS map data into Illustrator, complete with attributes! Pros: Ability to read all sorts of GIS data formats, and match them together. Crop on import from GeoDatabase is a huge time saver - as is the crop function tool for other uses. Labeling options are fairly robust (using the optional LabelPro module). It is clear that this software is designed by and for real map makers, and they have added many very useful features over the years. When I first started using it (after years of using Arc products - and all sorts of in-house tricks to get decent productivity using it), it felt like someone had designed MAPublisher just for me! Cons: Occasionally it freezes on me, so I have learned to save frequently and even quit Illustrator before doing big complex tasks such as joining features by attribute (for example road segments by road name), or big labeling tasks (I'm talking about placing 5,000+ street names!). I took their local 2 day training course, and would give that about 1 star... they just went through the product manual and exercises page by page. For example they never really explain why you might want to set up a layer for labels before running the labeling module (so that you can make those labels 'obstacles' to other label placement), or how many of the tools interact. But their tech support is very responsive, always getting back to me quickly and listening to suggestions. Overall: This is my work-horse software for making maps every day. It lets me import all sorts of map data, with attributes, and then process the features using those attributes. After years of using Arc and other software this meets my needs almost exactly. I can quickly make a professional map for an array of applications in education. Pros: Its compatibility with a wide array of geospatial files types is a huge plus. Most commonly .shp files, but I find that I will often quickly whip up an excel spreadsheet to plot various cities or other POIs just because the software makes it easy to import CSVs. Many of the tools I used in ArcGIS are available (spatial selection, attribute selection, etc) so it's nice that there isn't a learning curve there. Last but not least, I love how easy it is to theme and label maps with the built-in tools based on attributes or other metadata. Cons: Discoverability and learning. Sometimes it's difficult to get a comprehensive answer from a Google search on how to perform a task (I remember specifically with the georeferencing tool). This might not be fair, but I am stiff baffled why MAPublisher cant work with image files like it does with vector data (in the same vein as Geographic Imager). I'd pay more for a more comprehensive product if it had this capability built-in (though maybe not any more what geographic imager costs). I suspect there might be technical limitations to this, even though MAPublisher recognizes image files. 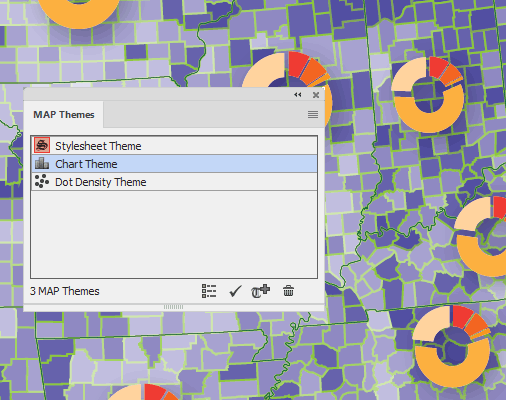 Overall: Making beautiful maps without having to export from ArcGIS. Having everything georeferenced (including old files that were scanned in) is an incredible selling point. 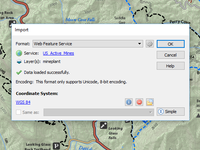 I use MAPublisher to create clean, detailed maps for environmental documents. Pros: Overall, I enjoy using MAPublisher very much. It allows me to do mapping that I can hardly imagine being able to do otherwise. It's a wonderful tool! What I like most is being able to import and manipulate very detailed GIS data and then having the unlimited design freedom of Adobe Illustrator. 1) Layer Options Panel: When MAPublisher is installed, and when I create a new layer in Illustrator or modify the layer options (name, color) of an existing layer (MAP layer or not), I will click Okay to save the options, then the layer options panel appears a 2nd time and I have to click Okay again on the layer properties for the panel to go away. 2) Unwanted shift to Legend layer: When I have a legend layer in the file (typically for a scale bar), and when I'm working on some other part of the graphic (either on a MAP layer or a non-MAP layer), if I do something that causes an error, the selected layer will often shift to the legend layer, which is bothersome. That layer is usually locked once I have created the scale bar, but the active layer will occasionally move to the legend (scale bar) layer without my telling it to do so. Overall: I'm able to create maps as detailed as those created by our GIS team, but they're cleaner and more user-friendly than what our GIS team can make. Project managers often come to me for their maps (made using MAPublisher) instead of the GIS team, because they know my maps will look better. The only decent GIS mapping software I know of that can be run on a Mac. Masses of functionality. Pros: It's an Illustrator plugin, which can pull GIS mapping data along with attributes straight into Illustrator (a major vector artwork program) without having to use a convoluted workflow such as with exporting from QGIS into Illustrator. There are highly advanced features for manipulating projections and a host of other specialist mapping requirements, including a separate map labelling program called LabelPro, which has been very useful once I'd finally grasped how best to use it. There are still many features I have not really explored. It has transformed my mapping workflow, and I don't know what I'd do without MaPublisher now. Well I would probably have to buy a PC - ugh - and run a rival program like Arc in order to make a complex map. Customer support from Avenza has been good so far on a few queries. Cons: It is quite expensive software, especially when buying the annual updates & support - more costly than Illustrator. And obviously when you compare with QGIS which is free, but of course without any support or the convenience of being able to manipulate data within a proper vector artwork program used by graphics industry professionals. It's quite a learning curve (though not as big a learning curve as QGIS, much of which is for GIS techies, not designers). It wasn't able to handle as much data at once as QGIS. Importing an OS buildings layer, for example, was crashing my Mac. However, once I'd upgraded my Mac with a lot more RAM, I could open a massive map artwork file with millions of anchor points and paths, and work reasonably fast without Illustrator freezing. We have had a good experience with MaPublisher for the last 7 years. 3. The good tech support when encountering a problem. 4. The contour labeling and knock-outs. 5. The ability to easily rescale a map to our specifications. 2. We are just learning more about the graticules features. It seems a bit complex and was difficult to figure out at first, and we are still trying to figure some things out. 3. When you rescale a map the symbols (in the symbol tool box), etc are no longer the correct size. 4. Would like the ability to generate contour lines based on USGS DEM files. Overall: Our entire business is to generate high-quality trail maps for Colorado. We couldn't have done this in a costly and efficient manner without MaPublisher. Occasionally quirky but overall AMAZING! Pros: I like that everything is georeferenced and changes are super easy each year. Just export a new file and style. It has streamlined my process and cut my production time in almost half. LabelPro is pretty amazing and fairly intuitive. LOVE that we can export in GeoPDF or GeoTiff, amongst other file types. Love that I can export changed data BACK out in shapefile format. Cons: It is quirky at times. When exporting as an image, some of the features turned into symbols disappear, even though they are all the same type of file coming from the same source. 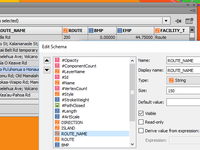 Some of the LabelPro features (symbols for roads) are difficult to figure out. Overall: Overall, this is a great product with AMAZING customer service. Mostly intuitive and works well with no crashes to Illustrator. If you are going to make high quality maps, particularly for print (or PDF), MAPublisher is vital. Pros: It allows fine-tuning of maps that is currently simply not available in ArcGIS Desktop or ArcGIS Pro. Simple effects like shadows and gradients are much easier to accomplish using Illustrator tools in MAPublisher, and it allows so much more text and layout options, particularly when combined with Adobe InDesign. If you are doing cartographic quality work, there's really nothing better out there. Cons: Out of the box, I'd like to see most of Esri's standard color swatches and symbols already in place and preferably available in an Illustrator template that is ready to use. Some tools, like halo and knockouts are quite complex for what they do. Finally, there are strange limitations on some of the Esri import options. I have had to use the 32-bit version of Illustrator instead of 64-bit because some importers were not available (SDE GDB I believe), and some of the import options are not compatible with the new feature that automatically retrieves changes to those layers when edited elsewhere, like in ArcMap. Overall: I'm able to make maps at a level not previously possible with standard GIS software. MaPublisher has been my go-to mapping program for years: it enables me to make the maps I envision. Pros: Ease of editing vector data. Ease of label placement and editing. Ability to apply a variety of blending options to layers. Ease of color selection and tweaking. Really appreciate how the program integrates with Photoshop/Geographic Imager. Cons: My least favorite quality has to do with Adobe Illustrator, not MaPublisher. By only being able to use one-core of the now-common, multi-core processors, Illustrator is vastly underpowered. In complex documents, it bogs down with simple label repositioning, is unable to maintain large numbers of vertices which results in abbreviated coastlines and generally odd shapes, and can be very slow. I wish I could bill Adobe for the time lost. Overall: The ability to create the maps I visualize. MAPublisher is an incredible tool that powerfully bridges geospatial and cartographic software. Pros: I love that this software allows me to georeference my Illustrator map files and continue to add and work with my data long after it's been moved out of the geospatial software. It adds a capacity to AI that I didn't even know that I needed. I rarely have to even start my map files in geospatial software anymore, preferring to simply use the powerful combination of AI and MAPublisher for much of my cartographic work that doesn't require complicated geospatial analysis. Cons: Any time I have found an imperfection with the software it has been speedily addressed by the Avenza team, so I have no cons! Overall: Big time and stress savings, I would have such a hard time going back to not having MAPublisher enhancing my Illustrator! Pros: i can combine a whole range of gis data with my digital maps to produce maps to be printed in books. i can update my maps with new gis data. in many cases i use mapublisher to add geographic information to traditional digitilized maps, for example to correct the scale or the grid lines. Cons: the updating process is still tricky: please realize this: to update mapublisher and also geographic imager i have to save and re-import my projections every update time. this is stil frustrating and keeps me from updating. as a customer i want all my own map projections automatically been there in the updated version. the thematic map tools could be easier to use. buidling up value classes is sometimes difficult. i have a great wish to avenza: in global projections theresult of the projection always generates a transparent globe with the hidden geographic data on the backside of the globe showing up. how about a function that eliminates the hidden parts of the map? Overall: ability to use gis data to be included in maps for books. I use it daily in my work. It's powerful and mostly intuitive to use. Pros: Power and ability to process data quickly and easily. There are some cases where I use it instead of QGIS for basic geoprocessing. It's interface with Illustrator, which is my workhorse for cartographic illustration. It's a central, essential part of my workflow. Overall: It allows me to do cartographic production work quickly and efficiently, paying for itself with in a couple weeks of license renewal. We use this software to make interactive maps for our customers. Very easy to use and looks great! Pros: Good value, low cost, for the end product ! Our team has never had an issue using the product and it has produced great material for us. Cons: Honestly we haven't had any issues with the software. It's worked as advertised and there have not been any cons to my knowledge. Overall: We use this software in one of our information service products for Government customers. Our service contract required to produce an interactive map that shows geo located incidents. This software has made this process very easy for us and has probably saved us at least an hour per day of labor in producing these reports. I've been using MAPublisher for my business for 10 years - and couldn't do my job without it. Pros: MAPublisher's extensive import and export capability have enabled me to develop GML/XML tools to draw WGS84 georeferenced airspace segments that easily import into Adobe Illustrator. MAPublisher transforms these WGS84 layers to the underlying UTM map layers with a simple drag of the mouse. Cons: The program can be a little complicated, but that goes hand in hand with extensive capability. I would love to see the ability to import CDED/DTED data and some shape file analytical tools. Overall: Using this product is part of my job. Drafting maps, going back and forth between GIS databases and Illustrator. Overall: A lot of time saved, and no more worries about how precisely located my data are on the map. I am very happy with the software, it works well. Pros: The ability to work with georeferenced data directly inside Illustrator is great. It has many useful tools and saves me a lot of time by giving me much more freedom than a standard GIS system for creating visually pleasing maps. It has basic data processing capabilities for selecting, editing and adding attributes including creating legends and map grids. Cons: Some aspects of the current system can be a bit clunky or limiting but they are improving with each version. Scalebars, map grids and map themes are missing things I would find useful. Map Themes have an export option but not an import option. Scalebars and grids may need to be expanded (breaking the spatial link) to change the placement of the labels to something not available in the options. Overall: It allows for accurate mapping with the full design capabilities of Illustrator. MAPublisher takes the drudgery out of map making with its sophisticated set of tools. Pros: Having GIS-like tools within the Adobe Illustrator application ensures I can create quality print-ready and digital files for publishing. Integration with apps live Avenza Maps provides a seamless publishing platform. Cons: There's not much I dislike about the product. There's a few features that I don't use very often like MAP Web Author, which seems a bit irrelevant in today's digital landscape. I have been a MAPublisher user for about 15 years. It's an integral part of our workflow. Pros: The GIS to Illustrator workflow is not a one way street. The illustrator files become a lot more flexible and multi-purpose, and much simpler to update. Cons: I suppose the cost. That's all I can think of. I don't have to pay for it myself so it's not a concern to me, but I know that it is for some. Besides that I have absolutely nothing bad to say about this software. I absolutely love it. Overall: It does great things and does them well. Being a early adopter to Mapublisher (2002) I have had the opportunity to grow my skills with it. Pros: Mapublisher has always had streamlined functionality to help me get the best cartographic representation from my spatial data. The connection to my spatial data warehouse provides me seamless access to generate top quality maps with in tight timelines. Cons: Automated indexing, we had to develop our own method to bulk index map features, but overall its about not having enough time to use all these great tools! Pros: Very easy interface, simple process to transform one or more files into new projection. Works well with both raster and vector data. Exports data to many formats. Cons: Inability to show Measurements as a CAD-like item. It will do a measurement in whatever format you want, but will not leave it as a permanent feature. The export feature, while allowing lots of formats, is somewhat clunky to use. Cons: Hefty maintenance costs... the value for the cost of maintenance renewal is pretty high for the change in the product observed - the features currently in use are sufficient for our business and line of work. Mostly positive. Good customer service. Pros: Geo referencing on digital maps is great. Pins work awesome. Ease of selecting contour lines, sorting obstacle data. Very flexible in what you can do. Cons: No google maps for georefeferencing. Can be a complicated process to georeference a photo flipping back and forth between image and software. Would be nice to be able to make this process simpler. awesome addition to Illustrator and geographic imager. Pros: provides me with all the tools I need and support from Avenza is great - powerful software that works really well with Adobe CC. Cons: would be nice if I could easily use it on both home computer and laptop without getting a second license or a floating license as Adobe do with CC. Overall: added great flexibility to my workflow. 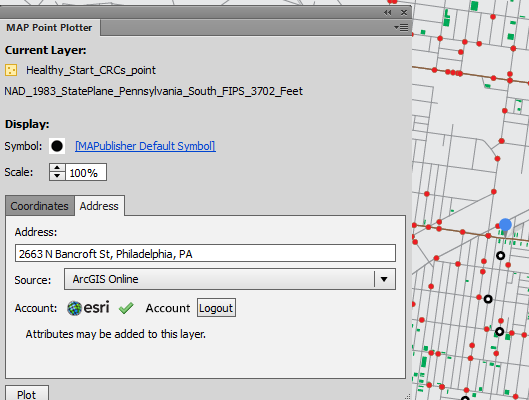 I use MapPublisher as way to bridge the gap between ArcGIS and Illustrator and I find it fantastic. Pros: I like the fact that I am able to import shapefiles and then easily edit them to produce a slick final product. Cons: I feel that the map view interface is somewhat clunky and could be improved. I also feel that rather than georeferencing through the map view interface that a stand alone georeferencing tool might be useful. Overall: I found that ability to bring static PDFs in, give them a spatial reference and extract a specific layer to be extremely useful. It saves a ton of time integrating GIS & CAD Files into Illustrator. Pros: Using Illustrator to develop maps means they'll look great. The copy features from other Mappublisher maps means no need to redo styles every time. Just knowing that GIS and CAD files are accurately scaled means I can do my work and know that it's scaled and sized correctly. Cons: The legend tool only does one style type at a time (i.e. can't do a legend that includes symbols, lines and areas... You have to do each one separately. The GIS functionality is limited compared to other GIS programs. You can do simple things, but don't expect this to replace a full GIS program. Top notch company and product! Pros: My organization acquired MAPublisher to help bridge some of the work our GIS team does with our marketing team. We use this product mainly for the functionality with Illustrator and to create GeoPDF maps for the Avenza Map Store. It services our needs well in this respect and Avenza has always been a pleasure to communicate with any time we encountered issues. Cons: I have found it less convenient to use with large datasets and rasters/image datasets. Navigating in the Illustrator environment can be time consuming for us non-illustrator savvy GIS users. MAPublisher makes cartography a joy. Pros: If you are already an Illustrator user (and you likely won't be looking at this tool if you're not), MAPublisher is super simple to use. Data layers come over smoothly and retain their attributes. Reprojecting to custom projections is simple. Outputs to a variety of formats is easy. Cons: Cost, especially as a non-profit it's expensive for us - but worth it. It has a bit of a steep learning curve. Overall: Easy to ensure our vector maps are styled and branded well. 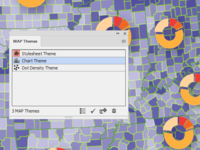 The outputs looka nd feel more professional than the ones coming out of ArcGIS or QGIS. Overall I am pleased with this software. Pros: Plenty of features although can be hard to learn. Import of data generally works well. When using it I am not encountering slowness or delays anymore that I used to have with big/'heavy' files. Good integration with the artboards in CS5/6 has made it easy to produce trimmed sections of a map if needed. Cons: Map borders/scale/graticule can be tricky to get right - need simpler interface and a way of visualizing it in real time as you apply changes in labels/font sizes etc. You also show lovely examples of maps produced with MP and Geographic Imager but the tutorial examples / sample colour schemes, map symbols, north arrows could be expanded a lot. If you use an example map to market your software then make sure the user can find it in samples/tutorials and can understand how to replicate it. Saying there is infinite possibilities is a cop out. Great product that helps me easily leverage my geospatial background into real map products. Pros: Takes the majority of my geospatial data workflow and puts it directly in my design software. Relieving me of needing GIS applications in most cases. Uses a maintenance model rather than a subscription model to keep it up to date. Cons: Can be difficult to initially learn. The need to manually retrieve updates as opposed to an auto update is a hassle. The reliance on subscription software is huge negative and likely to be the reason I eventually stop using MP in the future. Pros: The integration with Adobe Illustrator is seamless and easy. I haven't found anything else that can seamlessly integrate GIS data and illustration design so effectively. Cons: You can't effectively edit the shapefile data easily using this program. There's too much importing/starting from scratch. Processes which take moments in other programs (like qgis) take forever in MAPublisher. But I suppose that's the price to pay for such good integration with Adobe. The labeling system is also challenging to use. I have used Mapublisher in several mapping projects that the end product was to be a printed map. Pros: The ability to have mapping functionality with Illustrator capabilities combines the best of both worlds to create beautiful and functional maps. It has some functionality that I haven't found in other mapping softwares that was very useful, such as connecting line segments that have small breaks. Overall: I was able to create more professional printed maps than I am able to with other mapping software. Pros: Takes data into unlimited map design even for graphic designers with little to no GIS background. I discovered the software 4 or 5 years ago when a client in the Commercial Real Estate industry requested a specific map for their territories. Cons: If you do not have a background of GIS knowledge there is a learning curve but the customer support has been outstanding. MAPublisher is an indispensable tool for any cartographer who designs maps in Adobe Illustrator. Pros: Ease of use, especially when it comes to working with data in different projections and formats. Continued development and new features. Cons: The annual maintenance fee is too expensive, especially for someone like myself who only does freelance cartography as a side job. 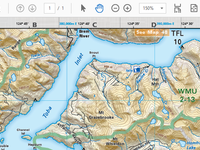 Overall: Allows me to take a map from start to finish without much reliance on GIS software. Pros: The ease of manipulating data. Very user friendly. Makes it very easy to produce map. The variety of file types that can be imported and exported is quite extensive. So much easier to ise than other gis packages. Cons: Would love to see a vector geopackage export. Would also like the ability to import Lowrance data. Great product to use !! Pros: Great Gis tool combine with the power of the Adobe Illustrator to make beautiful and relatively easy vector map. ive used this for over 10 years and it is always improving and moving forward. its great. Pros: It has become very powerful and integrated well with AI. it is intuitive and easy to use espeically now with the new plugins. The only cons are in AI. it needs to be rebuild to handle larger data sets as it spazzes out when too many nodes are brought in. Sales and tech support were great and easy to deal with. Pros: The functionality and ease of use. It is easy to get up and running with the software. There are also an abundance of options that are all available at your finger tips to expand your use, but these do not overwhelm the beginner user. Cons: The export process to jpg could be slightly improved. This process is not as seamless as it should be, but overall nothing too concerning. Overall: Ability to create dynamic maps that have tremendous levels of detail, and an abundance of information. The software makes it easy to compile varying import formats and create an appealing map export. I have been using MaPublisher since it was first introduced in the 1990s. Pros: I especially like the efficient and seemless way that it translates GIS layers into Adobe Illustrator layers while maintaining the geospatial properties of the original layers. MAPublisher makes Illustrator workeable. The customer support is excellent! Pros: Making Illustrator geologically friendly; Response time to any queries is really fast, and the support staff provided great assistance, including making new style libraries for me! Cons: Still a little difficult to load up geological style libraries, but that may be a function of Illustrator! Pros: I the range of data types available now (shp files etc) as this easy allows access to our corporate GIS data on a Macintosh platform which would other wise be not be accessible. Cons: It not really a con as it has to live within the confines of the Illustrator software but remembering where the the various buttons and menus are located can be quite frustrating but only as I don't use the plugin everyday. I've used MP for years and really like it. Pros: I like it that it works well in Adobe Illustrator. It has a wide range of compatibility with import and export formats including .csv, etc. Cons: I would like to be able to license it on 2 computers or be able to move the license between my laptop and my desktop more easily without any added cost. Overall: It allows me to build maps easily for my clients. Great software for our use case making navigation maps for USAF initial flight training. Pros: MaPublisher allows complete control over the appearance and styling of each project in Adobe Illustrator. Cons: MaPublisher requires a very capable PC to process large projects with hundreds of layers and raster images. The same can be said of working with large GeoTiffs in Geographic Imager. Overall: It is integral to our workflow. I had to buy the software, so I could work on a project for one of my clients. Project of 2 months. Pros: Projection systems in Adobe Illustrator, import and export possibilities. Database displaying. I took a white before I got an update for the new Illustrator. Cons: Expensive, maintenance renewal. I never used the software after the small project. And the updates are not worth these costs. Software more expesive then the fee I got for the project. 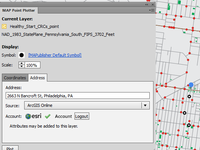 Overall: It is some how a missing link between GIS and Adobe.